If you want to taste the world’s finest (really, truly, honestly) grain-free, gluten-free, and vegan chocolate chip cookie dough, look to Cappello’s Chocolate Chip Cookie Dough – a roll of frozen cookie dough (think Slice and Bake but in a Michelin star sort of way) made with the most high quality ingredients (almond flour, organic Vermont maple syrup, dark chocolate morsels (unsweetened chocolate, organic cane sugar, cocoa butter), arrowroot flour, organic unrefined coconut oil, organic vanilla extract, coarse sea salt, and baking soda. 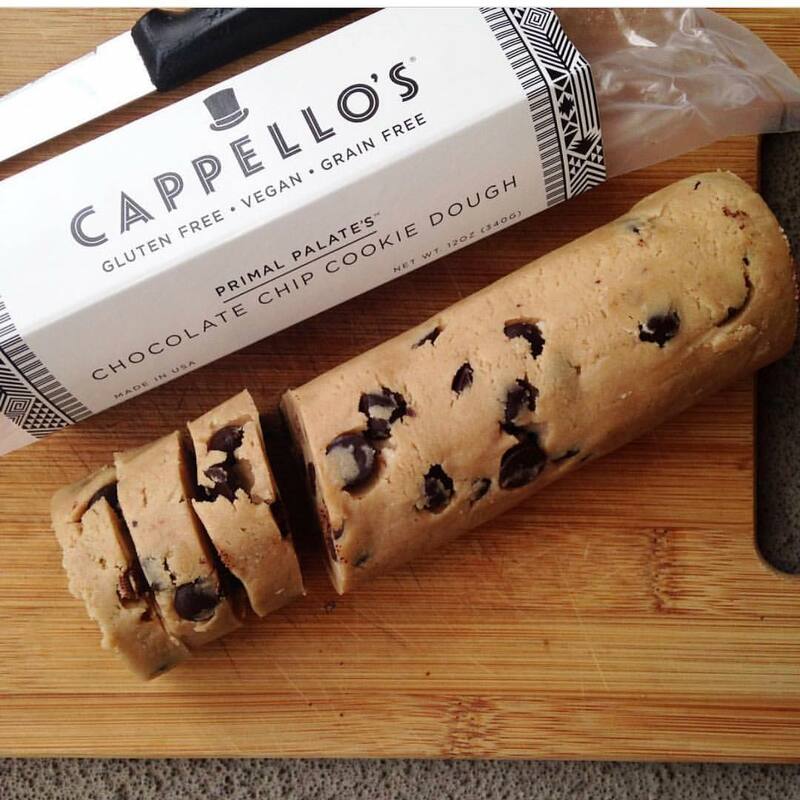 Cappello’s (a Colorado-based gourmet food company specializing in high-end, gluten-free grain-free products) teamed up with Primal Palate™ (a blog devoted to Paleo living) to create the ultimate chocolate chip beloved by both paleos and those following a plant-based diet (vegans). 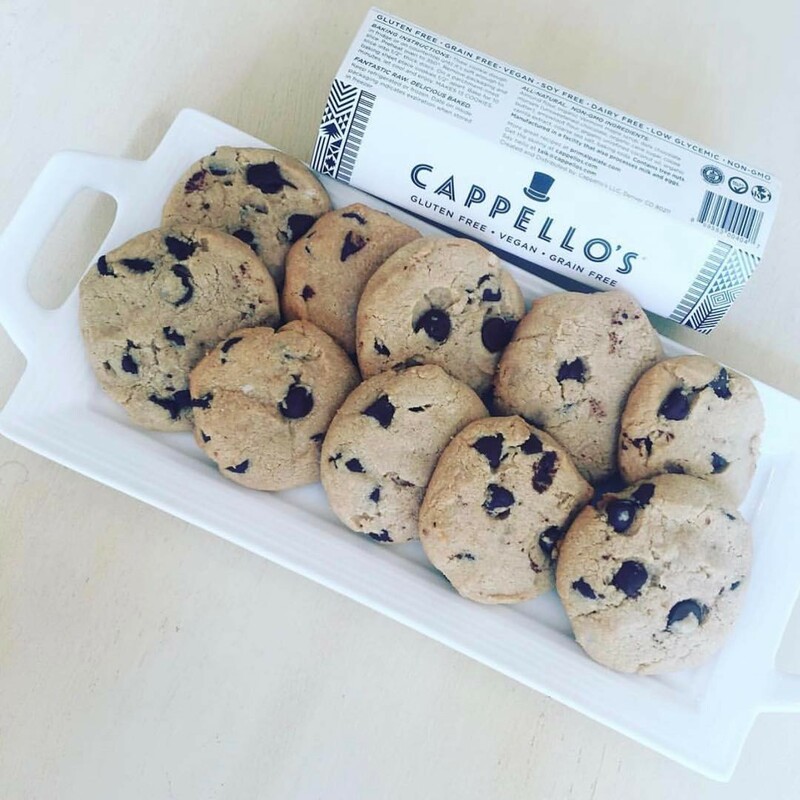 The quality of the ingredients is what distinguishes Cappell0’s Chocolate Chip Cookie Dough from other prepared cookie dough in the freezer or refrigerated section of grocery stores. 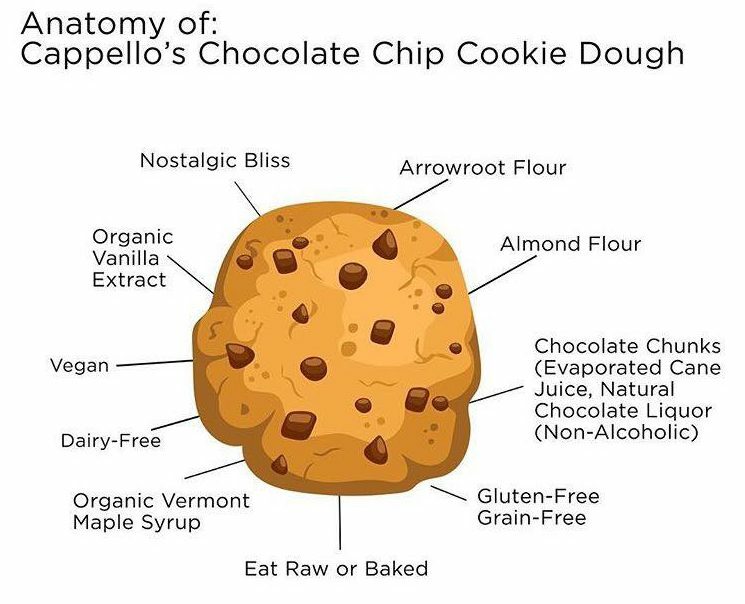 There are simply not very many companies (and probably none) using almond flour, organic maple syrup (both of which are very expensive) along with organic unrefined coconut oil, organic vanilla extract and dark chocolate morsels to make chocolate chip cookie dough. Cappello’s Chocolate Chip Cookie Dough is expensive – about $15.99 for a 12 ounce roll – but most bakers would be hard pressed to make cookie dough with the same high quality ingredients for less at home (a 16-ounce package of almond flour is about $10 while a 16-ounce container of organic Vermont Syrup will cost about $12; add high quality dark chocolate morsels – an 8-ounce bag of Pascha Organic Dark Chocolate Chips at $6, organic vanilla extract which sells for about $3 an ounce, and organic unrefined coconut oil at $10 for 16 ounces and you begin to understand why Cappello’s Chocolate Chip Cookie Dough costs what it does). High quality ingredients simply cost more so as long as you show some restraint when enjoying the cookie dough as is or baked into a cookie, then you shouldn’t break the food budget. Cappello’s Chocolate Chip Cookie Dough tastes best raw or when the cookies come right out of the oven (thaw the dough, slice into 1/2- inch pieces (if the dough crumbles at all, simply smoosh the dough together) and bake on a parchment paper lined cookie sheet for 8 minutes at 350 degrees (the directions recommend 10 minutes but less baking time produces a chewier cookie) . 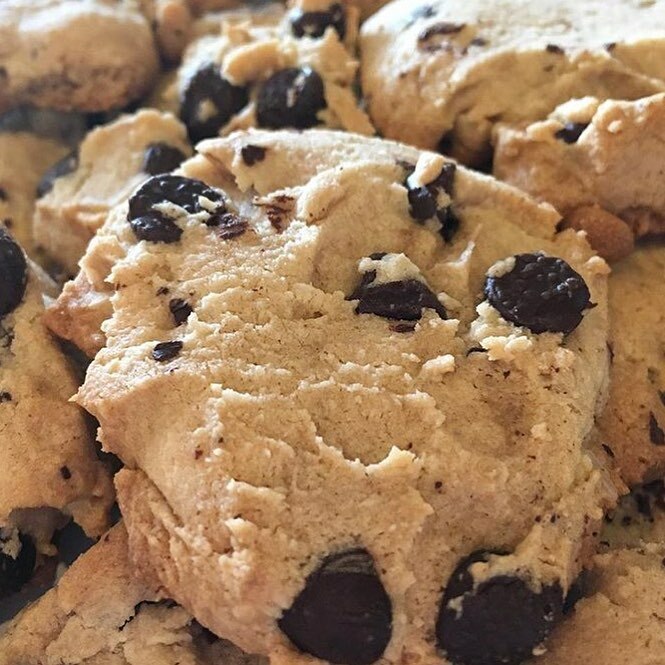 There is a slight hint of almonds and a ton of chocolate chips that make the cookies richer than a traditional chocolate chip cookie but just as enjoyable…actually, more enjoyable. The problem is trying to eat just one! To purchase Cappello’s Chocolate Chip Cookie Dough, use the retail locator at the company’s website (www.cappelos.com). I found the rolls in the freezer section of Earth Fare (a chain of 48 grocery stores in the southeast and midwest). ← Where Does $100 to Compassion International Go? Yum! I’ve been seeing this brand in the market lately and have always wanted to try it, but have been a little skeptical since it is gluten free and some gluten free cookie dough scan be a little grainy… I’ll have to give it a go! This looks amazing. I am allergic to wheat and corn so I am always on the hunt for new products to incorporate in my diet.